Whether you’re planning a small get together or an all-out bash, make sure that your baby’s celebration is one to remember. 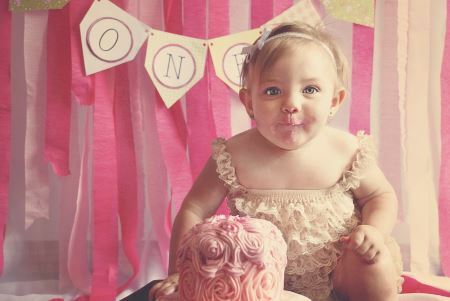 True, your one-year-old won’t remember their first party, but friends and family will love gathering for this milestone birthday. View the top party places and entertainers that specialize in parties for one-year-olds in New Jersey. Need to buy a gift for an infant? Scroll down to see some sensible suggestions. You’ve been invited to a birthday party for a friend or family member’s baby. Well, you think, I better buy the kid a gift. It might be tempting to buy a cuddly toy or adorable onesie, but the truth is, they aren’t old enough to really appreciate it and will probably outgrow it in the very near future. Plus, Mom and Dad received plenty of similar gifts during the baby shower. So what do you buy for a person who isn’t even old enough to speak, let alone have hobbies and interests? We’ve come up with some practical birthday gift ideas that are perfect for one-year-olds. These gifts are useful and have some longevity. Mom and Dad will probably be grateful they won’t have to add yet another plush toy to the collection. 1. Supplies: It might not seem glamorous to purchase diapers, wipes and pacifiers as a birthday present, but anyone who is a parent knows that these items go quickly. Plus, the cost of these items can add up over time, so presenting them as gifts to a pair of new parents could help their budget. 2. Larger Clothes: It’s astounding how quickly infants grow. Every few months, theiy're trading in their onesie for the next- size up. Consider buying clothes that they will grow into, such as a pretty toddler-sized party dress or a pair of sneakers. This way, they’ll be able to use the item for two or three years, as opposed to months. 3. Enrichment Classes: Experiences make for the best gifts. Check to see if a local play place, learning center or enrichment program allows you to purchase blocks of classes as a gift. These types of classes are generally caregiver-and-me style, which means that Mom or Dad will get something out of it, too! 4. Savings Bonds: US Savings bonds are one of the smartest and most practical gifts you can give to a baby or young child. US savings bonds are a type of debt security that accrue interest over time. We recommend purchasing EE-bonds, as they have a fixed interest rate that will double in value over a period of 20 years. Available in denominations of $25, $50, $75, $100, $200, $500, $1,000 and $5,000, they are available for purchase on TreasuryDirect.gov. While your baby won’t get any use out of it now, they will be in for a treat on their 20th birthday! The next time you show up to a first birthday, arrive with a sensible, practical and thoughtful present. If you’re the one tasked with planning the party, skip the gift and offer to book the entertainment through KidsParties.Party. We’ve featured the best services that offer parties for one-year-olds in New Jersey. Do you have your one year old's card yet? Our staff at KidsParties.party took the time to write the perfect birthday wishes for your child's card. Check out our age categories under both son and daughter to find a beautiful wish for your baby's first. You can even design a birthday card to put that message in with our easy-to-use software. Completely free, you can print your finished product right at home. We also have templates specifically for your baby's first birthday. Click here to get listed! All you need to do is fill out this form.